All One Sky Foundation helps Alberta communities prepare for a changing climate. We focus on the places where climate change can make us vulnerable: helping low-income people be more energy efficient or cities prepare for droughts or floods. We prepare policy, DIY workshops, primers and on-the-ground assistance. Every winter, Beryl dreads paying her utility bills. The cost of heat and electricity can spike during the coldest months and she often has to pay what she can on installments. 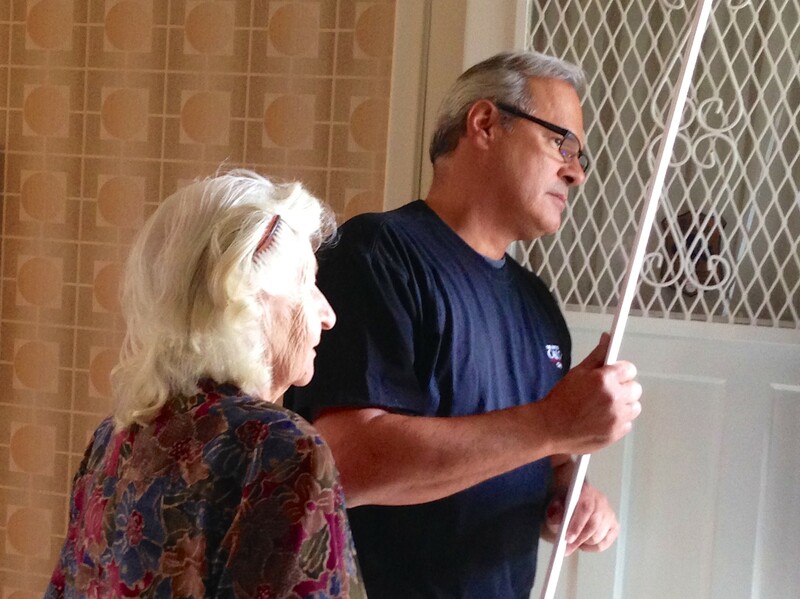 All One Sky visited Beryl in her Calgary home, and coordinated with the City of Calgary’s Senior Services to install new windows, doors and energy efficient appliances to help reduce her bills and make her more comfortable. 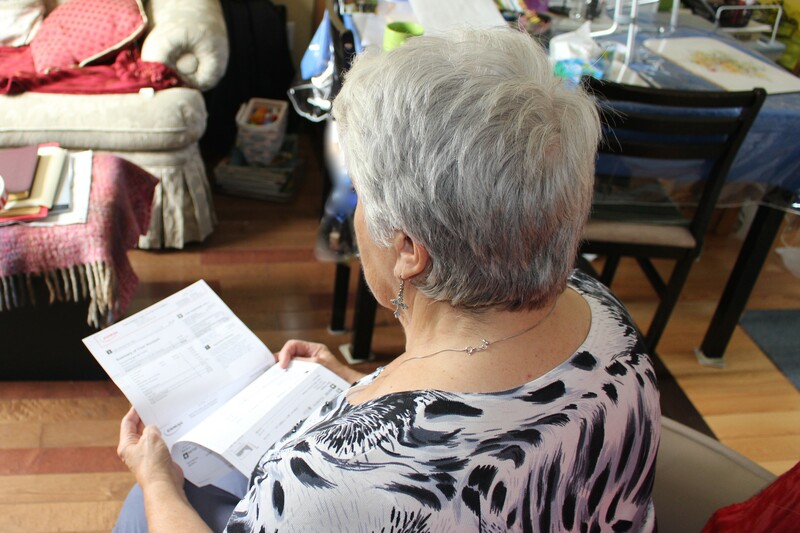 Beryl is one of the beneficiaries of Energy Angels, our first grassroots program to help low-income Calgary seniors become more energy efficient. All One Sky Foundation grew out of the former Climate Change Central (C3), the Alberta agency set up to help Albertans cope with a changing climate. We established All One Sky to address the cracks we missed in C3: energy poverty and adaptation to climate change. While C3 was closed in 2014, All One Sky has continued to provide climate research, education and programs to Albertans. Since 2010, we have helped thousands of Albertans make their homes more energy efficient, prepare municipalities with climate risk action plans, and help individuals reduce their impact on a changing climate. climate adaptation – helping municipalities all over Alberta understand the latest science on what the climate will look like in their region by 2050. We guide community leaders to assess key threats and opportunities posed by climate change to local economies, infrastructure, services, health and lifestyle of residents. Then we develop an action plan to guide decision-makers to include climate risks into all future economic, emergency and environmental planning. energy poverty – we have developed grassroots programs (Energy Angels) and policy primers (Tackling Energy Poverty – An Agenda for Alberta) to address the inability of financially-strapped families to properly heat and power their homes at a reasonable cost. Our research indicates that one in six households has difficulty paying utility bills. 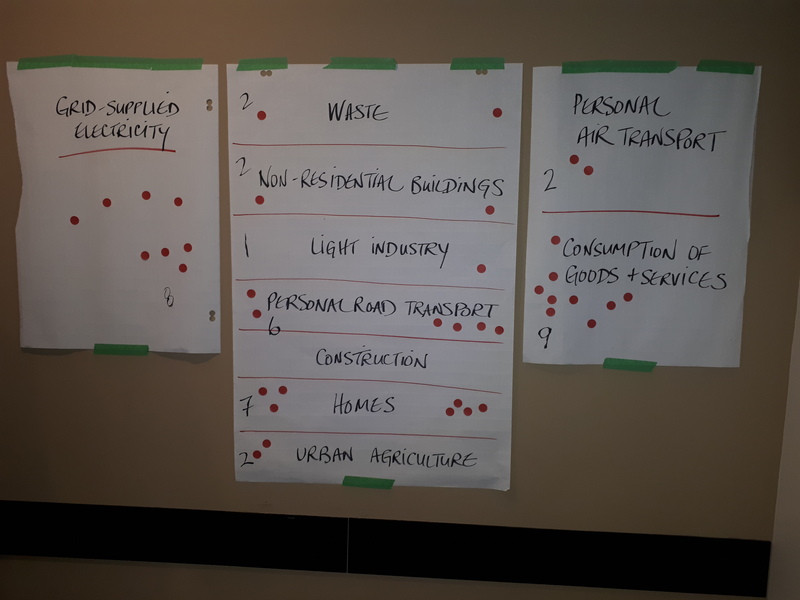 Recently, we convened a workshop of 40 people in the environmental, poverty and government communities to devise strategies to eliminate energy poverty in Alberta. climate mitigation – we work with community leaders to understand the key sources of their greenhouse gas emissions and devise action plans to get their communities onboard to map out a low-carbon future. Climate Resilience Express – we help your community understand your future climate and prepare for it. Our website offers DIY tools to assess and prioritize your risks and prepare an action plan. Energy Poverty – we develop policy on the impact of climate change on economically-disadvantaged families in Alberta. We are part of the Energy Poverty Roundtable with the Canadian Poverty Institute, ENMAX Energy, Aspen Family Services, among others, to develop an energy poverty strategy for Alberta. 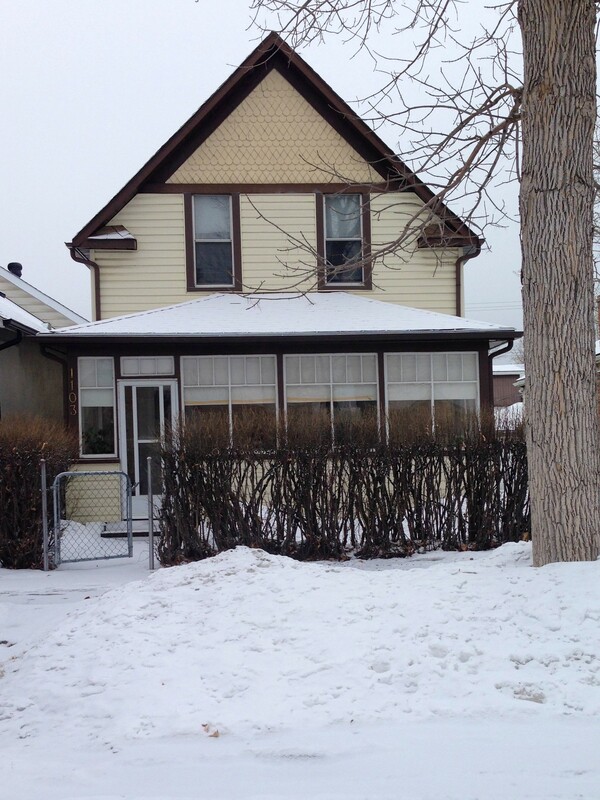 Energy Angels – we develop programs to help weatherize the homes of low-income Albertans. 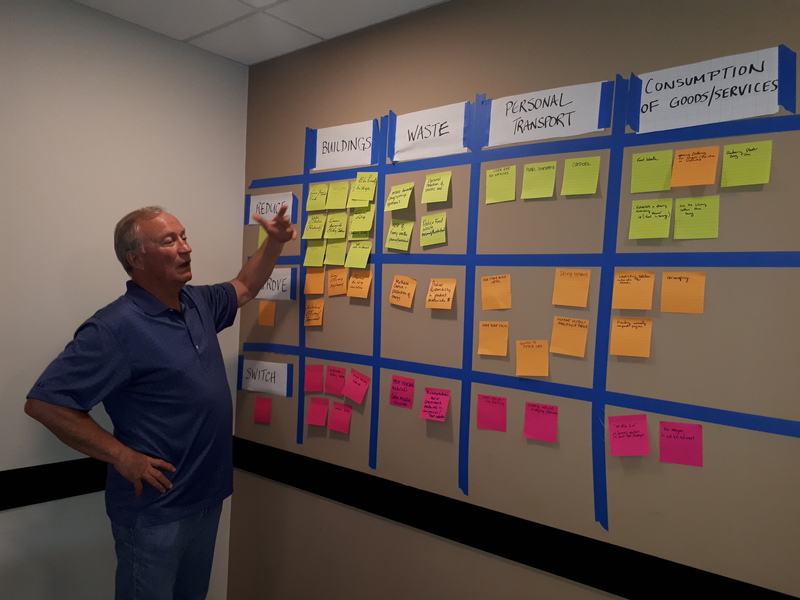 Climate Resilience Exchange – All One Sky is working with the communities of the Edmonton Capital Region to develop a regional, coordinated plan to address climate risks. $100 buys a package of energy-efficient water- and energy-saving devices, weather-stripping, window vinyl, etc. for a low-income family.